Free Julian Assange and Chelsea Manning. As long as they aren't free, nobody is free. Everything I listed is a fact. FBI has long history of assassinating black leaders. Why shouldn't that be discussed? If you think it's out of line to discuss this stuff you are just sticking your head in the sand. 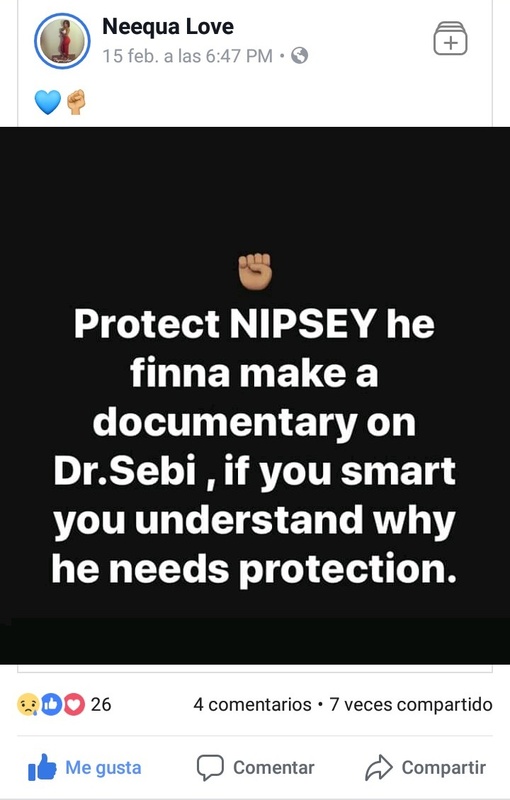 EDIT: NIPSEY LITERALLY SAID HE MIGHT BE KILLED FOR HIS DOCUMENTARY, AND THEN HE WAS KILLED. SUPER DISRESPECTFUL TO IGNORE THAT, DONT YOU THINK? It won't be talked about much on this sub but Nipsey was working on a documentary on Dr. Sebi, who claimed to have cured HIV with an alkaline diet. The truth would cost Big Pharma billions. I have read in esoteric works that Hebrew and Sanskrit are both magickal languages, having embedded in their structure a magickal, geometric system. People knew what he was doing could have gotten him killed. And it did. Do your part and watch some of Dr. Sebi's talks to understand why they wanted him dead. The truth about nutrition and health, if revealed and accepted by the masses, would cripple many industries. The Masons, as with most occult structures, are recruiting grounds for the REAL occult structure that sits behind them as a shadow. He's still their guy tho. The real issue is conflating liberals with the left. I've found my soulmate already but sending you the best of luck! With the 33 as well. NICE!